I cleared out my Google Reader unread count after months. I’m not sure about the actual numbers but my guess is there were more than 10,000 items there. I was listening to cover songs on http://copycats.tumblr.com and these are some of the ones i loved recently. Did you know the PirateBay also gives you music recommendations?? Every download page related to music has a detailed artist info section with a list of artists very similar to one you’re trying to download and it’s pretty darn useful. 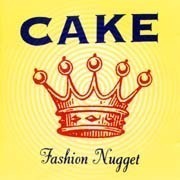 A preliminary search for some mellow bands led me to a dozen year old album called Fashion Nugget, by an alternative rock band called the Cake. The album contains some gems like ‘Nugget’, a cool song with a funk feel, although I should probably warn you that it periodically contains a well known four letter :-D. They also managed to make use of that word in a remake of the Gloria Gaynor’s ‘I Will Survive’. A little research leads to a nifty piece of trivia that this it is also the goal music of the Turkish football club Galatasaray SK. The album starts with a trumpetty-sad but still rythmic number titled ‘Frank Sinatra’, which has had the honour of appearing in the hit series The Sopranos. It seems like a pretty well know band and I'm surprised at not having heard of them. Moreover, this album has left me intrigued and curious about their music and I hope to find more and more of it. I give this album my thumbs up!! You can get a taste of their music here. It currently has around 2 million tracks to discover and the artists get paid when you listen to their music too. It reminds me of Pandora, which is now closed to residents outside the US. 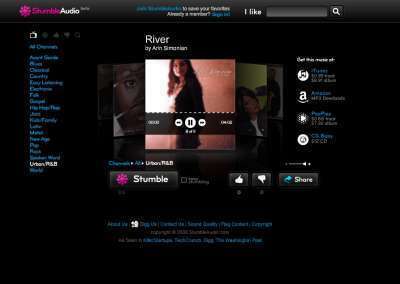 The site features mostly indie artists, so its very easy find music that you haven’t heard before. From the album Lies and Speeches, the song has a Cranberries like quality and dark cloudish beats. It’s a steal considering it’s free. 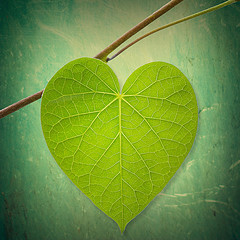 You can download this whole album at Jamendo, by following the link below. 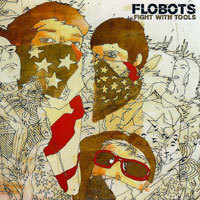 Listen to more of Hype..
Flobots, “Stand Up” comes from their second album Fight with Tools. The song starts uniquely with a lead violin, and blends into a soft dope beat with lyrics showing more of a political, social flavour. Overall a highly recommended song/band. Also don’t forget to listen to Handlebars from the same album. It’s one of my favourite songs. Listen to more of Flobots..